The chilly nights and mild days of late have helped accelerate the process by which leaves change their color. Peak times to view fall foliage differ all across the country, but we still have a few more weeks before the great Northwest’s colorful show of reds, oranges and yellows vanish for another year. 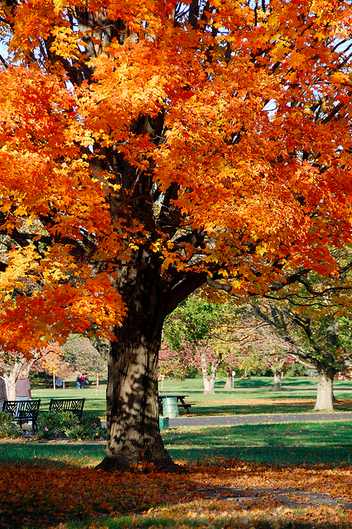 But this begs the question: What causes leaves to change color in the first place? Between late August and early October, many people all across the United States and Canada willingly travel hundreds of miles to witness one of Mother Nature’s most beautiful pieces of artwork: fall foliage. A most breathtaking natural spectacle, the wild splashes of red, orange, brown and yellow leaves racing up and down rolling hills and lining quaint neighborhoods brings a certain homey nostalgia with it. However, some places seem to have a tendency to produce this natural artwork more flamboyantly than others, and there’s a good reason for it. Those green leaves that we often run to for protection on hot summer days contain what is called chlorophyll. There is so much of this pigment within the leaves that it masks the others. Sunlight is one of the biggest factors in providing chlorophyll, so naturally summertime is when green leaves thrive. However, as light diminishes come autumn, so does the chlorophyll. This finally allows the other natural pigments, called carotenoids, to steal the show. They come in yellow, brown, orange and a variety of hues in between. There are some colors, however, that appear on leaves that weren’t there before, and these are called anthocyanin pigments. 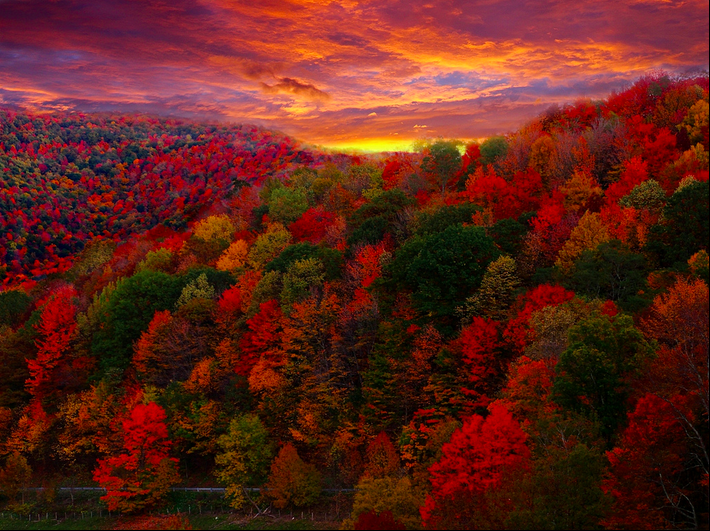 These red and orange colors form due to an increase in sugar concentration in plants, typically occurring towards the end of summer. The more anthocyanins present, the more burning reds you’ll see on your next fall foliage trip. Colder, northern climates tend to accelerate the process of chlorophyll decomposition. 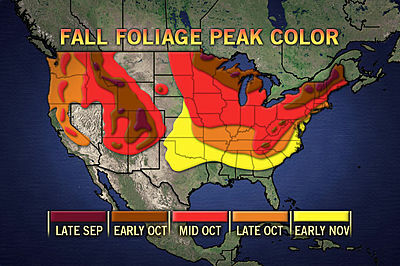 For instance, St. Paul, Minnesota would see fall foliage peak around late September, but Tulsa, Oklahoma would likely see it peak in early November. This shows that temperature does effect leaf coloration to some degree, but it is not the determining factor. The sunnier the autumn days, the brighter the “new” colors. If autumn welcomes us with plenty of autumn sunshine with cool, crisp nights next year, expect a dazzling show. On the other hand, if the clouds just won’t quit and the air remains a bit on the mild side, expect a more conservative presentation of duller yellows and browns.